I’ve changed my stamping card to Cryogen. I was using Neenah but was having such problems since I ran out of the stock I got from the USA. The UK one is not anywhere near as good, the blending is poo, the bleeding is ridiculous and all in all a really poor finish. Since using Cryogen, no more problems. Yay!!! The inside finished off to match the front. 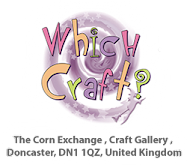 Thanks to all that entered the fab Butterfly Easel Card & Template Collection give away kindly sponsored by Which Craft? And the lucky winner is Ginny (As.I.Do.Rodos,) Congratulations Ginny, please email me your address so I can arrange to have the kit sent to you. Please scroll down to the next post to enter my Butterfly Easel Card giveaway. It’s been ages and ages since I did a give away, but I’ve got a doozy of a one today. The lovely Paula at Which Craft has gifted her Butterfly Easel Card & Template Collection to one lucky person. I had a play with one of these kits and it’s sublime, and really easy to assemble. I used more of my new papers As if in a dream II that I got from Scrap and Craft – I absolutely adore this pack. I took so many photos! The gorgeous die that the sentiment is on is Little Darlings Gilded Oval Labels that I got from Noor! Design. Last one. The base looks wonky but it’s perfectly flat, the card was just a bit too big for the raised section in the photo tent. I used some delish Wild Orchid Crafts goodies to embellish my card, as well as the gorgeous Rosy Owl leaves (again) and Noor! Design Butterflies. Wild Orchid Crafts products used are 25mm open roses, 15mm open roses, miniature sweetheart blossoms, pearls. And now for the give away. If you would like to try your luck at one of these fabulous kits, just leave a comment and I’ll draw a winner on the weekend. Do pop across to the Which Craft? website, Paula has some amazing kits and ideas on there. I’ve been buying dies again, I just can’t help myself! So I had to use some of them - a Prima doily die and also another of the Rosy Owl leaf dies …. love them ♥. Throw in the Floral Muse pad by Dovecraft and I’m in shabby chic nirvana! I got the Floral Muse paper pads and embellisments from The Glitter Pot. Hmmm, the pleated heart that’s one of the Floral Muse embellishments looks like it’s floating in the photo above. It’s not, promise. I cut out a couple of butterflies from one of the papers from the pack. I also popped in some looped organza ribbon (also Floral Muse embellies) which, once the glue had dried, I blasted with a heat gun to give a more shabby, wrinkly look. It worked a treat. All embellishments are from Wild Orchid Crafts. Welcome to the March 2016 Whimsy Stamps Release. Over the next 3 days the Whimsy DT girls will be showcasing all the *BRAND NEW* red rubber stamps. All the stamps as well as details on how to win some fabulous prizes can be found on the Whimsy Inspirations Blog, where you can also see the fabulous creations the DT have made with the new goodies. I have coloured up Cindy for my card, love love love this little cutie. Along with the new stamp I also used sentiments from an older stamp set – Love Mini Tickets stamp set. The little flowers with the pearl centres were made using the Noor Design Vintage Flourishes Bloom 6 die and coffee filter paper. I coloured the centres of the flowers with a dab of Peeled Paint distress ink. The leaves are a Rosy Owl die (see previous post for links). I also used the Noor Viewmaster die behind the stamp. The designer paper is from the Studio Light No 31 pad. The flowers are from Wild Orchid Crafts. I used Magnolias, lilies, apple blossoms, and tulips. The gorgeous cabachon is also from WOC. Two cards to share today, one for a girl and one for a boy. First up is a floral card, I got some new papers a couple of weeks back and fell i love with the chocolate and coral tones. So pretty! The papers are from the Avonlea pack from Scrap and Craft. I also ordered and received a load of new dies (excluding all the ones I bought from the craft show at York Racecourse on Friday – oopsie!) The doily is Crafter's Companion - Die'sire Decorative Dies - Circle Doilies that I picked up off Ebay. Man!! Have you seen their dies? My basket was struggling under the strain lol. I also got some new leaf dies from Rosy Owl. They are based in Poland but ship to the UK and their service is fantastic, I got the dies in a few days. I emailed them and they sorted it for me lickety spit, I’m well impressed. They are just gorgeous – I’m a little OCD with leaf dies, I have hundreds of them lol. The butterfly die is from the Open Heart with Butterfly die set by Noor Design. And of course an explosion of the most delicious flowers from Wild Orchid Crafts. That little glass button nestling at the bottom of the flowers is also from WOC. And now for my card for a boy. I used one of the new in stock LDRS stamps at Noor Design. This one is called Little Darlings DoveArt Studios Feeding Time. It was an absolute joy to colour, so very easy ecayse the shading is already done for you. I love the whimsical feel to Elisabeth Bell’s images, and Honey Little Spring Helper is no exception. 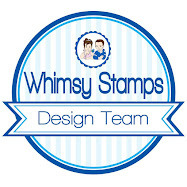 This is one of the new stamps from the latest Whimsy Stamps release. The papers are Floral Muse by Dovecraft. The little accordion heart is from the same collection. This paper pack is beyond divine, so glad I got a spare lol. The lace die is from Joanna Sheen, the oval die is by Marianne Design.